From their humble beginnings as dim indicator lights on electronics, LEDs (or light-emitting diodes) have become the most economical choice for exterior and interior lighting. 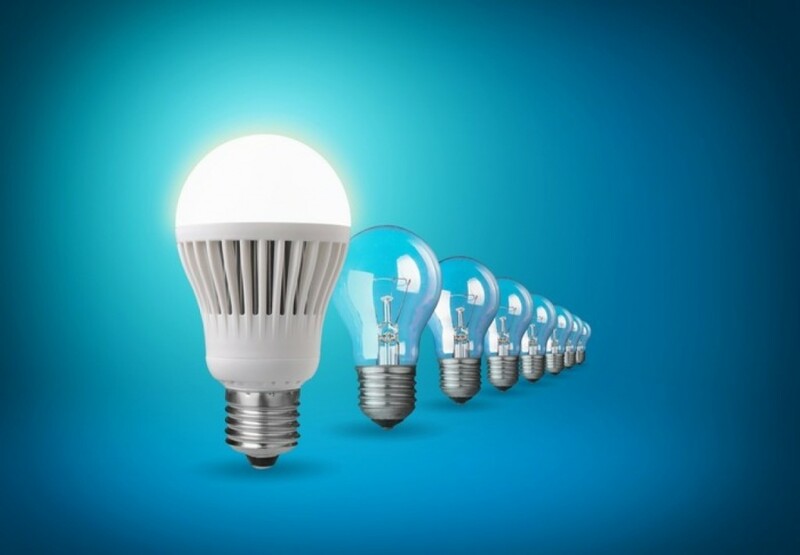 High-efficiency LED lighting provides bright, clean light at a cost per lumen equal to many types of conventional lighting, but with benefits that other forms of lighting cannot offer. Most commonly used as task lighting, inefficient incandescent bulbs shed more heat than light. More than 95% of the energy used to light an incandescent lamp is lost as heat, producing an efficiency rating of about 15 lumens per watt. Compare these figures to the luminous efficacy of LED lighting; LED lamps produce up to 150 lumens per watt–ten times the efficiency of incandescent lighting. That energy savings isn’t just good for the environment, it’s good for the budget as well. Fragile incandescent bulbs need frequent replacement. The average lifespan of an incandescent lamp is about a thousand hours; LED lamps typically last fifty times that span. With fewer on/off cycles, LEDs can reach 100,000 hours of service. That means dozens of incandescent bulbs will wind up in a landfill before an eco-friendly LED lamp needs replacement even once. Less inefficient than incandescent lighting, fluorescent tubes provided a means to light large interior or exterior spaces like offices, carparks, shops, and walkways at a fairly low cost. However, their efficiency of about 60 lumens per watt still falls below that of LED lighting. The durability of LEDs puts them well ahead of conventional fluorescents. Although fairly long-lived, fluorescent lamps only last about a quarter or a fifth as long as LED lighting. That long life saves money both on new lamps and on the manpower costs of replacing bulbs, a meaningful budget consideration for stadium lighting, pathway lighting, and other large venue lighting. LEDs also win the green battle. Unlike fluorescent lights, LEDs contain no mercury and require no special handling when replaced. Sodium-vapour lamps line highways in municipalities worldwide. Most frequently used for street lighting and security lighting, sodium-vapour lamps match the energy efficiency of LEDs with an output of about 100-150 lumens per watt. However, LEDs still top sodium-vapour lighting for longevity, outlasting the orange lamps by about ten to twenty thousand hours. Not only does this mean fewer new lamps bought, but also less lighting maintenance personnel to replace failed street lamps. LEDs also produce a clean white light at the same energy cost as the dim orange light shed by sodium-vapour lamps. Purer light makes a difference especially for theatre lighting, shopping centre lighting, and market lighting for which aesthetic considerations are a factor. Even for city lighting, street lighting, and exterior lighting, white light is preferable; consider how much easier it is to see a dark car on a roadway when that car is under full white light. Other lighting technologies that are as much as a century old cannot compare to LED lighting in energy efficiency, longevity, or appearance. The cities of the future will be brightly lit by LED lamps.